We have taken this stroller everywhere! I have 2 under 2 and it works perfectly for them. We also have the board that attaches to it for my older son. It turns so well and fits through most doors. The only drawback is that it is heavy to get out of the car and the basket underneath is too small. Other than that, it is perfect! I have two kids and I always had a hard time taking them outdoors with their old stroller. Now with this stroller I actually look forward taking my kids out. 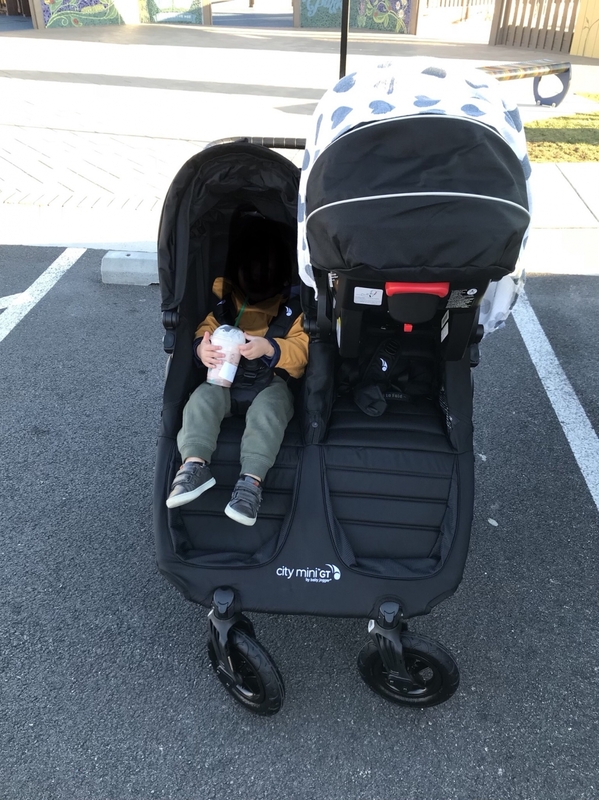 I�€™m so happy with this purchase�€”I�€™m using the stroller for a 3.5-year-old and 11-month-old and you would never know there�€™s a 15-20 pound weight difference between them�€”the stroller pushes like a dream, even one-handed. My single is a Bugaboo and I was tempted to go with the Donkey but didn�€™t love the fold, and I�€™m really enjoying the simplicity of the Double GT fold. The canopies are ginormous and the peek-a-boo windows are useful for my younger child. 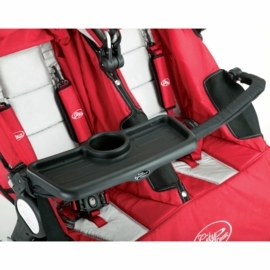 The seats easily and quickly recline and there�€™s extra storage pockets behind each seat. I can�€™t get over the push though, it�€™s been amazing over sand/rocks and glides effortlessly on pavement. I wish I would�€™ve bought this sooner! Pros-Pushes like an absolute dream. -Effortless fold. -Seriously ginormous canopies. -I can fit a Skip Hop diaper backpack bag, towels and a Thirty One thermal tote for snacks/drinks in the basket underneath. I found it?s easier to access the under basket through the sides instead of behind the stroller; the sides stretch down easily to accommodate. -Extra pockets behind the seats are great for zoo maps, small wallets, water bottles, coloring books, etc. 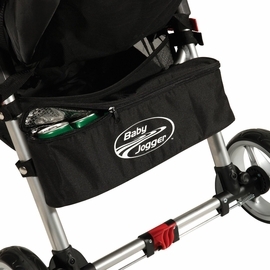 Cons-The bar down the back of the stroller makes it difficult to easily remove bags in the under basket. -There?s instructions not to hang a bag off the stroller handle; most strollers can accommodate this so it takes some getting used to. 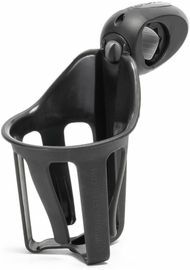 -Would?ve liked to see an independent snack tray option or something that Baby Jogger sells that would clip easily to the side. 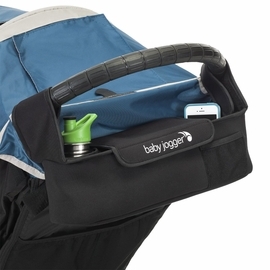 Even an inside type pocket so kids can easily access a water bottle or snack. -Wish the profile was a touch more narrow to navigate through difficult doorways. Just got this as we are expecting our second child. My son jumped right in and wanted a ride. Only complaint is the straps and buckles are a little cumbersome and it doesn�€™t allow the babies/toddlers to sit more upright. But overall I think we are going to love it. 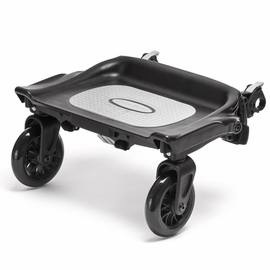 Great smooth ride, easy to turn, fits through most spaces and easy to fold. Out the box this stroller is so easy to assemble. We got this stroller with the bassinet for our then 2 yo and newborn. It's maneuvers wonderfully on all surfaces except sand. 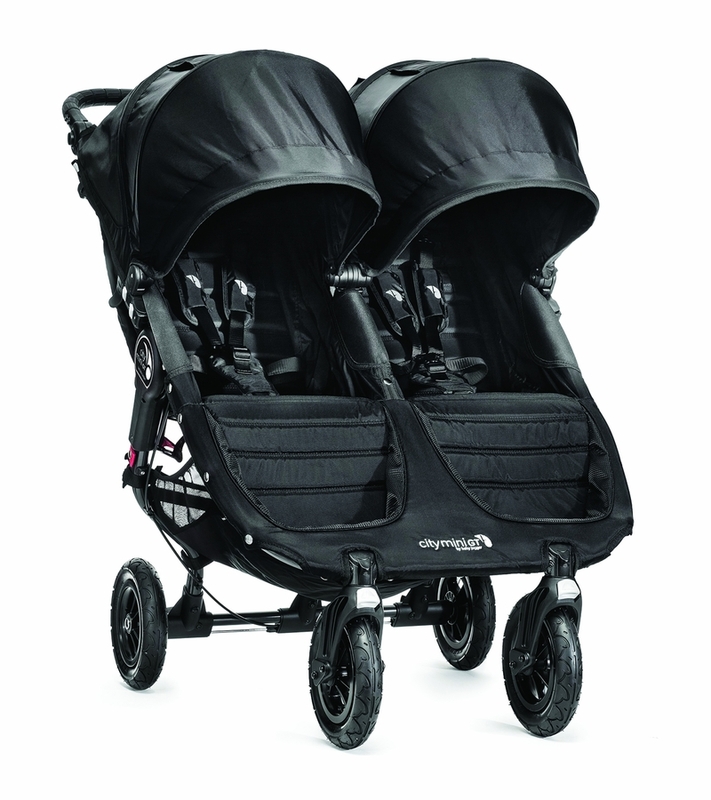 This is our go to day to day double stroller. Easy to store and collapse pretty flat making it easy to store in our vehicle along with all of our essentials like baseball bags, groceries, and luggage when traveling. 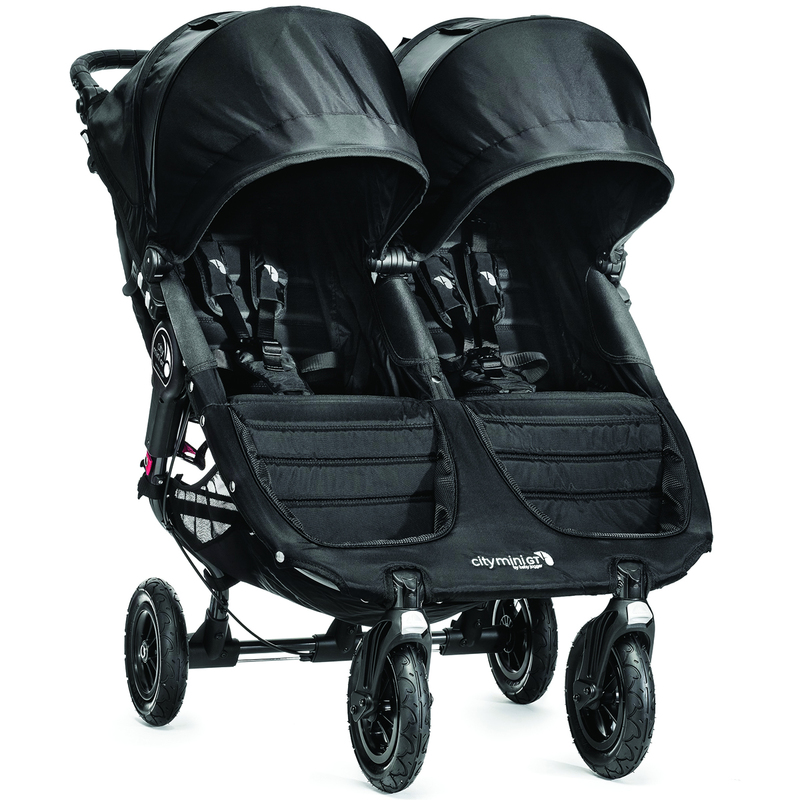 I love the Baby Jogger City Mini GT Double Stroller! It is so easy to maneuver and drives so smoothly. My only regret is that I waited too long to buy it (when my youngest was 2). I wanted a side by side double stroller for my young kiddos, 18 months apart, so that they can be next to each other. I didn't like the back to front ones, with all the crazy configurations (one was squished on top of the other, one was hidden behind another, etc). With side by side, they can both see everything in front of them, and share things with each other if they wanted! This stroller is a bit bulkier, but it folds really easy and I have actually been able to get through most doorways. 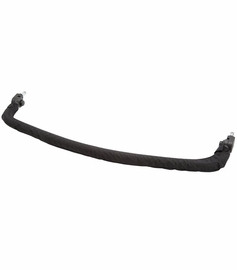 It is super easy to maneuver and it is definitely a smooth ride. I've taken them shopping, to the beach, out on walks, to the park, I use it all the time! I am extremely happy with the purchase!! This stroller is way better than I ever anticipated it would be. We bought this after searching for weeks for the perfect double stroller. Our 2 year old is 99% for height and all of the other strollers that we wanted, he had already outgrown. So we went with the CMGTD and we are SO happy that we did so. It's a breeze to push in the city or the burbs, not insanely heavy, and the 2 year old falls asleep in it allll the time. We have the Uppababy vista as well and he has never fallen asleep in that stroller, but will fall right asleep in this thing! Love Love LOVE! Only thing I wish that they would improve is the storage basket. It's large, but not easy to access and I've ripped the basket trying to access it from the side. This was my first time purchasing a double stroller and I was researching them all and weary they would be hard to handle and just hate them.. well I LOVE the city mini gt double!! 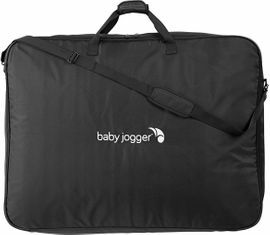 This is probably the easier to maneuver stroller I've ever purchased, its so quick and painless to fold up and store and to take out again to use. Its not heavy at all and it FITS THROUGH ALMOST ALL DOORS!! I use it for my 19 month old and 5 week old (have only tried it with the adapter so far) and it has literally been a life saver. This is a great stroller! After many strollers with my first kid I got the single city mini and loved it. When I was looking for a double stroller many people recommended the double bob but also said its like having a small car. I prefer the smaller strollers and ease of transport. This stroller does just that! 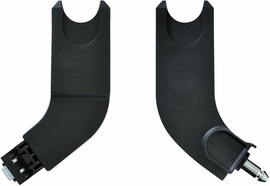 It is a great ride, fits through standard doorways and then folds easily and compact. I don't need to get a new car for a larger trunk! I would like if it came with the necessary add-ons like a cup holder and adapter for a bucket seat but obviously its not a deal breaker. The best stroller for our toddlers!! I have an almost 3 year old (who's the size of her sister) and a 4 year old so far. We upgraded to this one from our Baby Trend and it's been amazing. So smooth of a push, quick fold, so compact, and girls say it's more comfortable. In the future we can add a car seat and a glider! If you're debating just get it you won't be disappointed! Great solid stroller. Both my children have so much room! Only down fall is the basket is so small and difficult to get to. Love this stroller. No regrets. I love this double stroller. In the beginning, city select was my first option, but I don't like the clicked button for seats, then I choosed this double stroller. I just want to tell every one, there is no regrets to buy this double stroller. 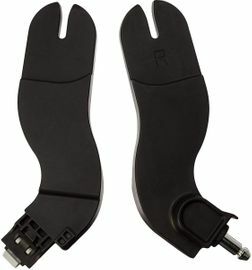 The cons is difficult to find the car seat connector. I love this stroller. We initially had the Uppa Baby Vista for our 2 kids and loved that, but then our 4 year old complained that her legs were too tight in the second seat. I was recommended this stroller from my sister, who loves hers. Not only does our 4 year old have leg room, but she and her 1 year old sister seem much more comfy. The push is amazing, it was easy to put together and fits through doors! ConsAccording to the manual it states that you are not supposed to hang anything from the handlebar. It would be nice to have something beyond the basket or the small parent console that would be acceptable and wouldn't compromise the weight of the stroller. 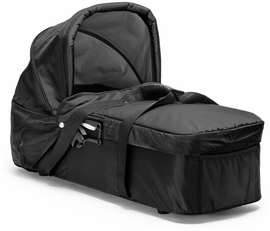 Fantastic and easy quick folding stroller makes traveling with the kids super simple and fast. After using a tandem stroller that didn't fit in my trunk when folded without breaking down this is an absolute joy. I only wish it had a cup holder for me! Thank you Albee Baby for marking the 2015 model at an affordable price! I am pleased to have made this purchase just in time for my 12 month old son and soon to be born baby in a couple of weeks. While this stroller DOES NOT come equipped with accessories (parent cup holder, snack tray, belly bar, rain cover) they are available for individual purchase. Overall the Citi Mini GT offers a smooth ride with it's all terrain wheels, comes with generously tall seats, oversize canopies, adjustable handle bar and it is far less heavy than many double strollers in the market. This double stroller will certainly be used for many years.